20 years after the Great Patriotic War, on May 8, 1965 12 USSR cities were awarded the title of Hero-City. On the eve of the 20th anniversary of the Great Patriotic War Victory the Presidium of the Supreme Soviet of the Soviet Union noted such cities and towns as Moscow, Leningrad (Saint-Petersburg), Stalingrad (Volgograd), Sevastopol, Kyiv, Odessa. Moreover, the Brest Fortress was accorded the title of Hero-Fortress. In 1973 the list was enlarged by Novorossiysk and the Ukrainian town of Kerch. 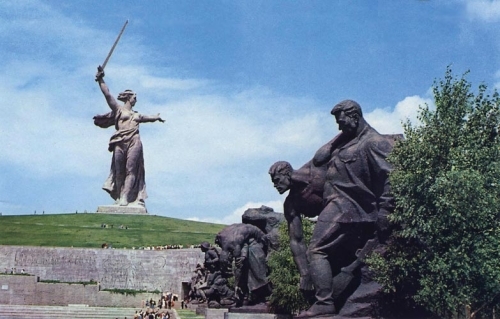 The first Belarus city to become Hero City was Minsk (1977). Two years later the town of Tula received the same title. On May 1985 the final list of Hero-Cities was complete with Smolensk and Murmansk. More breath-taking details available on our website.